Working on a comic about the fake life of Natalie Portman. Probably putting it up here in weekly installments. 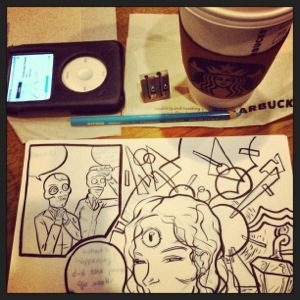 Inking right now at my local Starbucks.